Evolution of Smooth (EOS) is a very popular lip balm manufacturer, known for their cool little lip balm spheres. 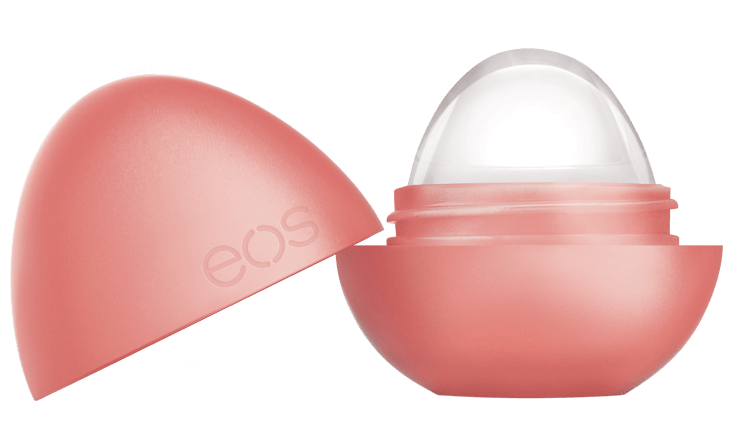 Most EOS lip balms are not vegan, but some are. The answer for you will also depend on how you feel about animal testing. Basically, EOS has been clear that their company themselves does not test on animals, but due to their suppliers and selling in China, it’s likely that some part of their product is tested on animals. This isn’t a clear-cut case of animal testing so I’ll let you make your own judgement call. If you are okay with their production practices, then let’s look at the specific products EOS sells. Beeswax is not vegan first of all. Even worse, it’s more of a main ingredient in EOS products than most other popular lip balms. The weightless & wax-free line of lip balms don’t have any beeswax, or wax of any kind. All of these are vegan. A lot of fancy terms, but all you need to know is that they all come from plant ingredients that are vegan. Ordering from EOS’ site is the easiest way to find one of these specific products. But if you want more options, feel free to see our guide to the best vegan and cruelty-free vegan lip balms.